Latinos and Hispanics make up the largest minority group in the nation. But when it comes time for college, few are making the grade. According to the 2013 U.S. Census, 64.7 percent of Hispanic Americans over the age of 25 had completed a high-school education, yet only 14 percent of those had earned bachelor’s degrees. 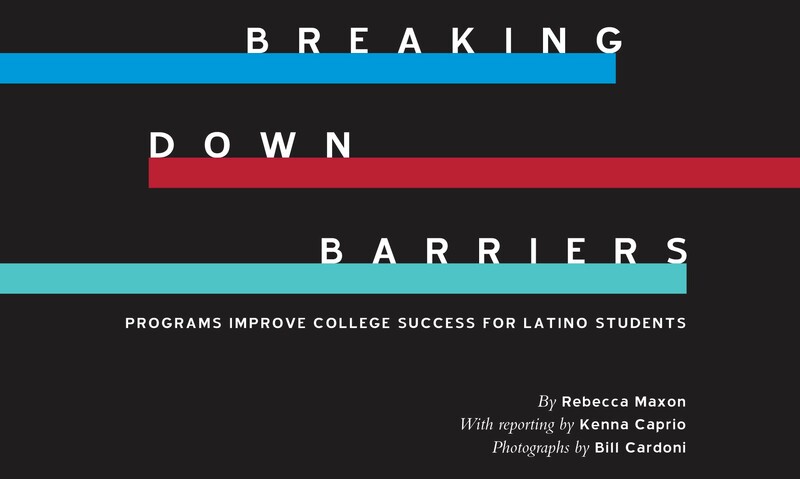 And while more Latinos are looking to attend college, they are less likely than other groups to enroll in four-year programs or to attend full-time, greatly reducing the odds of degree completion. Fairleigh Dickinson University has responded to this critical need — now both traditional-age and adult Latino students have pathways to college degrees and much more. FDU’s Latino Education Pipeline in the Anthony J. Petrocelli College of Continuing Studies features two programs: Puerta al Futuro (Gateway to the Future) and Latino Promise. Puerta was founded in 2003 to help Spanish-speaking immigrants gain access to higher education, learn English and obtain college degrees. Initially, an associate degree in liberal arts was offered. In addition to the Metropolitan Campus, the program holds classes at off-campus sites in Elizabeth, Dover and Perth Amboy, N.J. The program expanded to include the bachelor’s degree in individualized studies and a master of administrative science (MAS) degree for ambassadors in New York City, with classes conducted at their embassies. Several concentrations are offered as well, along with a Leadership Administration Certificate. These options are particularly attractive to Spanish-speaking immigrants who have degrees in their home countries but are unable to use their qualifications when seeking employment in the U.S. In 2007, FDU expanded its reach to include Latin American high-school students, and Latino Promise (LP) was born. Inaugurated with 12 students, LP provides Latino students with increased access to higher education and helps to ensure success with innovative support systems. Participants can complete a liberal arts education with a 60-credit associate degree, or they can transfer into a bachelor’s program. The transition to college can be an issue for both recent high-school graduates and adult students, which is why the Latino Pipeline’s friendly, bilingual faculty and staff are critical. Latinto Promise students Susana Vasquez-Henao, AA’15, and Jacob Zardoya, AA’15, both transitioned into bachelor’s programs at FDU, she in marketing and he in engineering. Along with personalized academic advising, LP offers a three-week summer program to help bring academic skills up to par. Placement exams are taken afterward, allowing for higher English and mathematics placement than students may have had otherwise. Encouragement is also important in enabling Latino students to succeed. First, parents are made aware of the affordability of an FDU degree, including financial-aid options. Then, Latino students are encouraged to use their English-language skills more. Kenneth Verhkens, dean of Petrocelli College, says that the Latino Pipeline helps students become competitive in the workplace. Being fluent in two languages is a large advantage in the business world, and the programs prepare graduates to hold key positions in international business and other fields. But it’s not just about bridging language barriers. These programs are also about providing second chances. 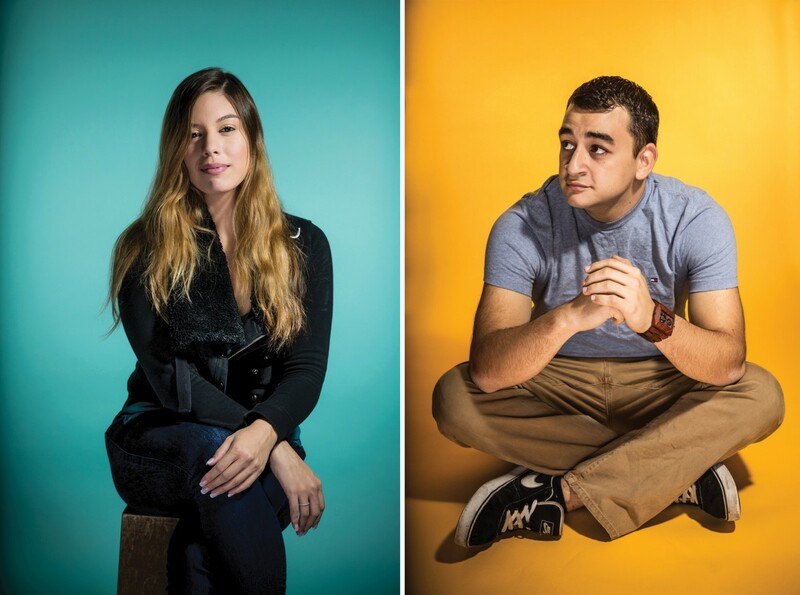 Latino Promise enables students to get the education they desire, despite the odds. The second member of his family to study in LP, Zardoya began FDU’s bachelor’s program in engineering after completing his associate degree last May. His sister, Elizabeth, just completed her bachelor’s degree as well. Modesto Romero, BA’14, graduated from the Puerta al Futuro program. “I came to the U.S. to work as a lawyer in the Colombian consulate,” says Johana Alarcon-Serrano, MAS’14 (Metro). “Puerta opened the gates for my career here in the U.S.” She now works as an adjunct professor in the program. Alonso emphasizes the importance of preparing Latino students for the world of work. “Something these kids are missing is getting to take on leadership roles,” he says. One leadership program, which includes seminars for juniors and seniors, provides LP students with internship and volunteerism opportunities. Mariano says, “You learn, you go on internships, you find out what you definitely want to do in life. I was fortunate to have internships freshman, sophomore and junior years. “Being able to have these internships, which might eventually lead to a profession, was promising and definitely inspiring,” she continues. 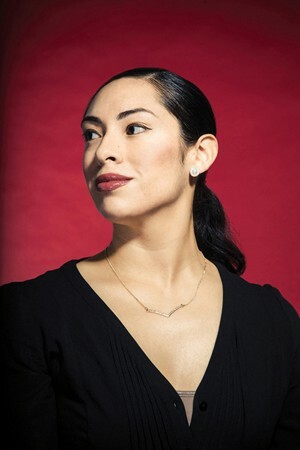 Nathalie Martinez, AS’11, BA’13, is a graduate of the Latino Promise program. Internships can turn into full-time employment. Nathalie Martinez, AS’11, BA’13 (Metro), a member of the National Guard and a former LP office intern, says that a year after her graduation, a position in the office opened up. She interviewed for the job, got it and has been working for FDU for almost two years. As a transition specialist, Martinez helps Latino freshmen adapt to life at FDU while studying for her master’s degree in student services administration. LP students also gain experience through community service, a program requirement. Zardoya, raised in Ridgefield Park, N.J., says he got to know the Latino community better though his volunteer work. “I learned more about my ethnicity,” he reports. When she came to FDU, Vasquez-Henao was extremely shy. 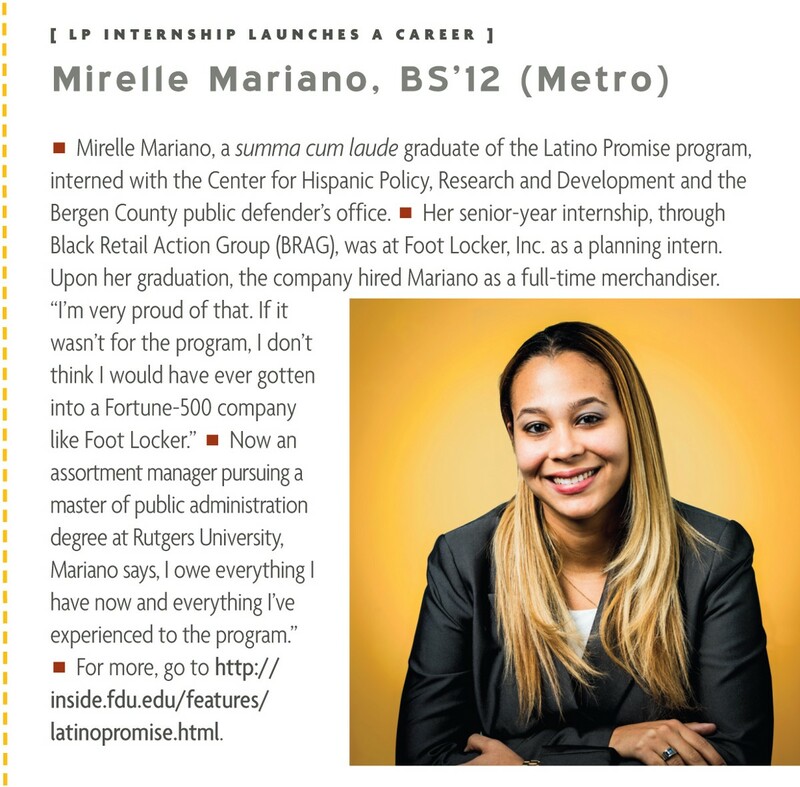 But, she says, “With the help of LP and the professors, I’ve been able to little-by-little come out of my shell and try to be more of a leader and more outgoing.” The first in her family to earn a college degree, she is now attending Silberman College of Business at FDU for a bachelor’s degree in marketing. Alarcon-Serrano has been accepted by two law schools: Sandra Day O’Connor College of Law at Arizona State University and Ave Maria School of Law in Naples, Fla. “Without Puerta, it wouldn’t have been possible,” she says. “I feel so proud of myself,” Romero says. “Since I earned my BA, my business has grown a lot.” The owner of a money-transfer center in Hackensack, N.J., he says, “With Puerta, I am a successful person.” He is currently working on a master of administrative science degree at FDU. FDU’s Latino Pipeline has served students from more than 50 countries. Alonso imagines that one day programs will be offered completely in Spanish, completely in English and online to serve diplomats outside the New York metropolitan area. 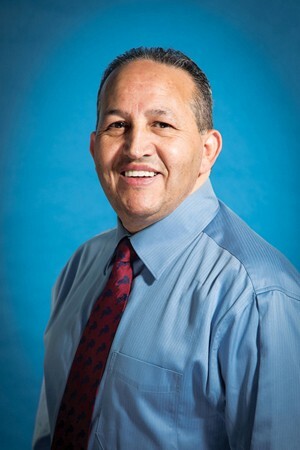 Fernando Alonso, senior lecturer of business, is the director of both the Puerta al Futuro and Latino Promise programs. He hopes to see graduates return to their countries as businessmen or visiting professors. “That could have a big influence on the economy and culture [of Latin America],” he says. Another possibility for expansion is FDU’s hospitality program. 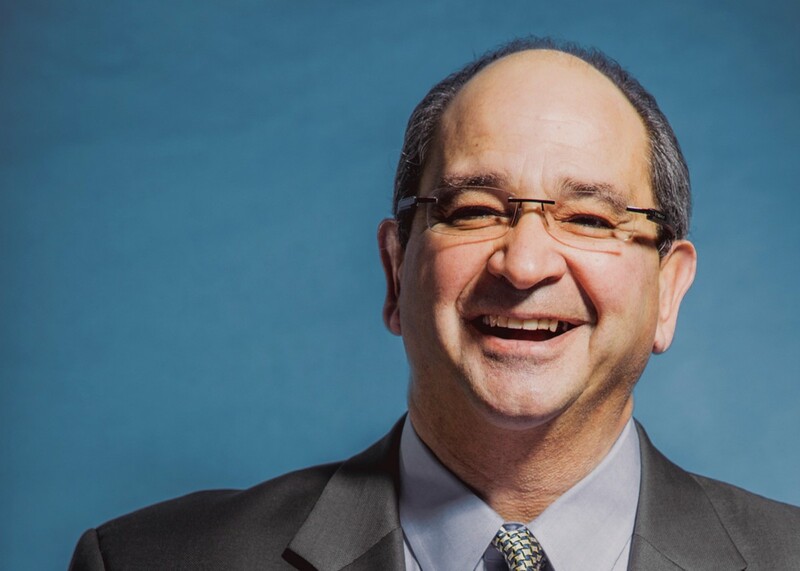 “There is a great need in this area for Spanish-speaking professionals,” he says. It is likely that students in and from Latin America will be interested in the International School of Hospitality and Tourism Management, since there is continual expansion of tourism opportunities in the region. Ed. note: A version of this article first appeared in the Winter/Spring 2016 edition of FDU Magazine. Selected features from Fairleigh Dickinson University’s biannual, signature publication.